In 2012 Passenger sang ‘you only hate the road when your missing home’ and in 2015 I can voucher for him on that one. Travelling around from place to place, as frequently as I have been, can be an exhausting experience. As much as you try to seek out the best each place you visit has to offer, sometimes you can’t help but suffer from a case of travellers fatigue. Sixteen hour bus journeys begin to blur into one another, as city after city passes you by and packing up your bag with its ever growing contents begins to tire, leaving you jaded and longing for a place to call home, if only for a few precious days. So when life on the road gets tough, there is only one thing for it…head to The Gili’s for a spot of island hopping and I guarantee you that after a few days (or ten) of island living, away from motorised vehicles and busy cities, you will be relaxed, rejuvenated and raring to go again. Gili Trawangan, or Gili T as it is more commonly known, is the largest of the three Gili Islands. Suitable for families of all ages and with a wide range of hotels, guesthouses and luxury villas on the island, Trawangan carters for every budget. 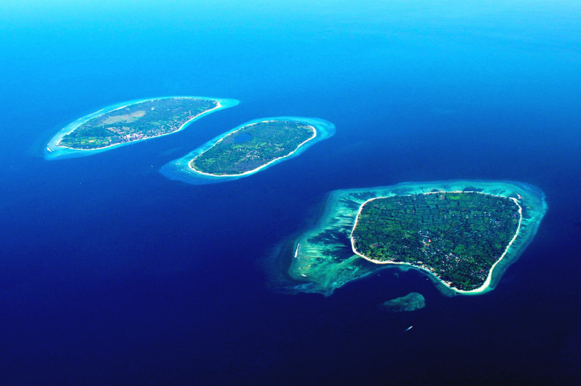 Although if it’s partying and nightlife you are after Gili T is the one for you. 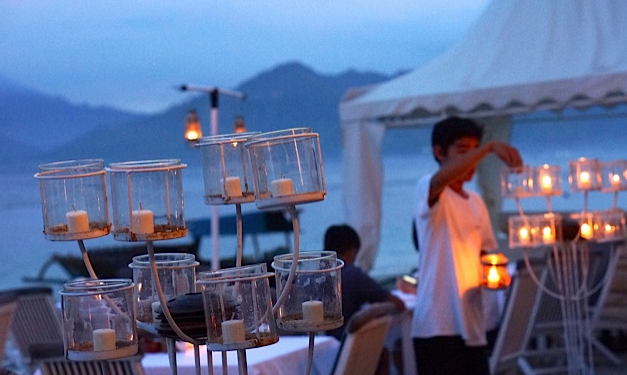 With plenty of clubsand cocktails bar open till late, Gili T is a partygoers dream. My Gili T must do…Dinner at Scallywags. 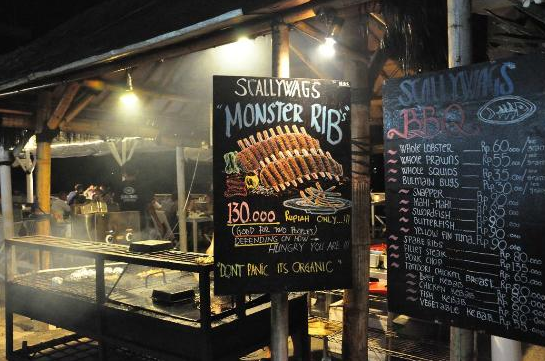 Scallywags Organic Bar and Grill which is located on Gili Trawangan’s Southern shoreline, boasts not only stunning views of Mt. Rinjani, but also dishes up the best food on the island. Not to mention the most outstanding service. Offering a large selection of fare, from the tried and tested favourites to the freshest fish and meats all cooked to perfection on their beach side BBQ, Scallywags is not to missed. Set in the middle of the three islands you will find Gili Meno. Only two kilometres long and one wide, Gili Meno is the smallest of the three islands and is by far the most peaceful and under developed. Offering the best beach of them all Gili Meno is all about the water. 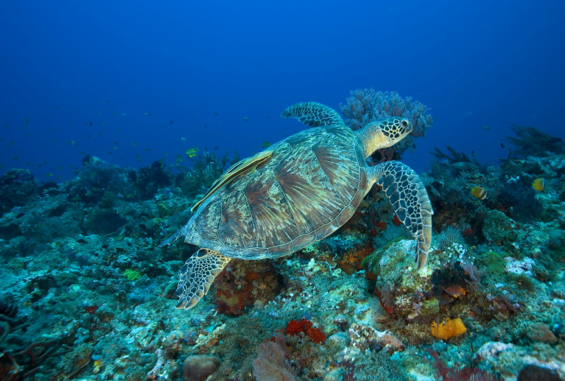 Boasting the infamous ‘Gili Meno Wall‘ means a trip snorkelling will afford you the delights of swimming freely amongst giant sea turtles and if you’re lucky black tip reef sharks. Spend all morning snorkeling with the sharks before heading off to walk the length of the island. It’s possible to walk around the island in under two hours, so time your walk so that you can make your way to a bar to enjoy a well earnt cold beer, whilst watching the beautiful Gili sunset. Gili Air with its real grass roots feel is often the most overlooked of the three islands. However I feel it is the perfect compromise. As with Meno the pace of life on Air is much slower, appealing to those who really want to escape. Yet it also offers a good variety of atmospheric restaurants for evening dinning, which makes up for what Meno lacks and T offers. And with beautiful stretches of white powdery beaches and crystal clear waters snorkeling should be on top of your agenda while on Air. 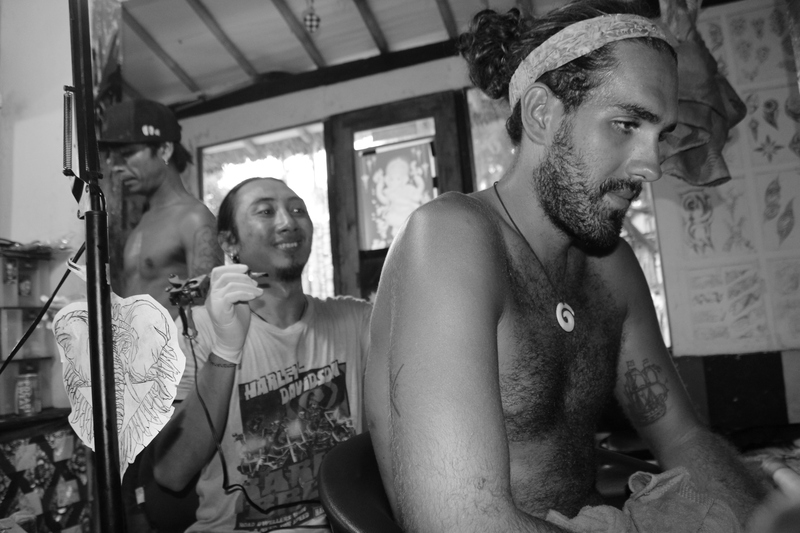 My Gili Air must do…Scallywags and Tattoos. 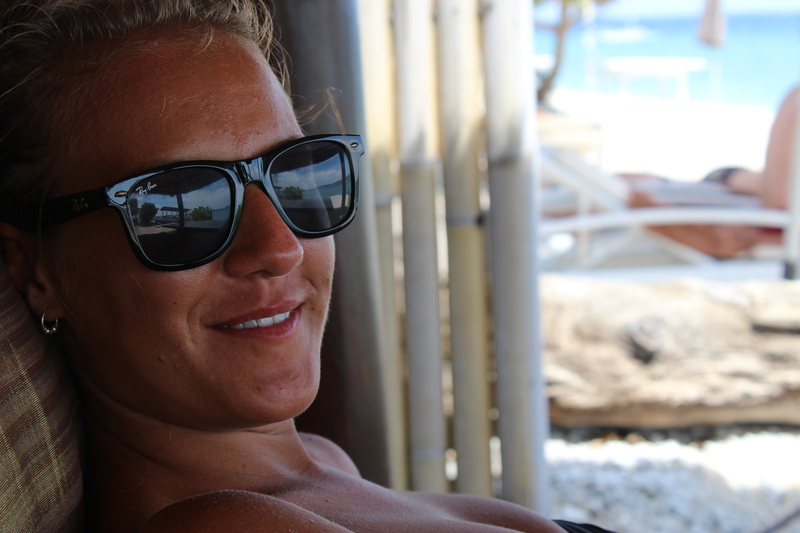 Gili Air is not only just as beautiful as the other two islands, but it also has its very own Scallywags. 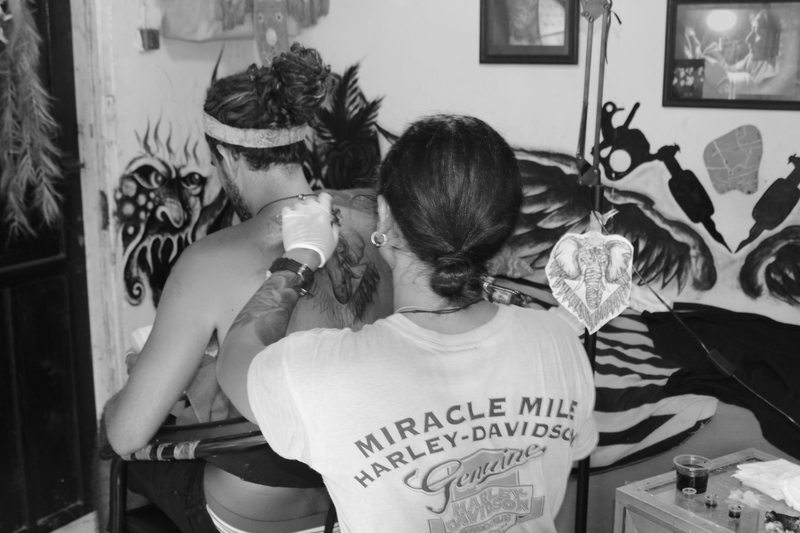 So if, and when, you manage to drag yourself away from some Scallywags beach side dinning, then I suggest checking out Chili’s Tattoo Studio. I myself opted out of some ink but my boyfriend however endured an eight hour session by the award winning tattoo artist himself, costing a mere fraction of the price as it would’ve back home. Whatever experience you are looking for my overall advice for visiting the Gili’s would be this…check out all three of the islands and just enjoy the utter escape that island life affords you – sit back, relax and take your time. The hustle and bustle of the rest of the world can wait a while.